According to the company, four meetings with the workers’ representatives have proven to be a failure and this has ‘forced’ the leadership to announce a layoff on Friday. 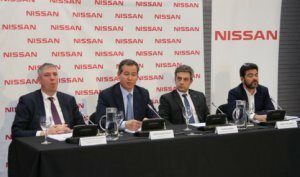 Nissan already announced these plans in late March, but it was hopeful to reach an agreementon the restructuring with the unions by this Friday. The head of the company in Europe, Gianluca Ficchy, said last month that the 600 job losses would be covered by early retirements and voluntary and incentivised redundancies. Around 3,200 people work at the moment in these two plants, and the layoff would mean cutting some 20% of the staff. Workers’ representatives expect to hold protests on labour day (1 May) and during Barcelona’s automobile fair (May 11-19).